Finding Fernanda sheds light on the highly politicized landscape of Guatemala’s adoption industry, a multi-million dollar trade that was both highly profitable and barely regulated. Erin Siegal takes the reader on an important and worthwhile journey, especially since ‘helping children’ has always been a popular discourse in international development and critical examination of familiar practices and ideas is always important. She manages to tell the story of the international adoption industry as a balancing act on cultural tightropes – between legitimate interests and concerns and self-serving perceptions of North-South relationships. Based on her research at the Stabile Centre for Investigative Reporting at Columbia University’s Graduate School of Journalism, Siegal traces the case of Mildred Alvarado and two of her children who are kidnapped from her through the complexities of the ‘orphan industry’, including the roles of baby-finders, caretakers, judges, government officials and adoption organisations in the US. Mildred is ultimately reunited with her daughters and her public quest, including media coverage, working with NGOs and some government officials, is the starting point for a temporary stop of exporting children and an overhaul of the system in Guatemala. At the same time, the story looks at the ‘recipient side’, following an American housewife’s involvement in the story after she realises that she may become the ‘second mother’ of baby Fernanda while her birth mother fights for her return and what shady role an intransparent adoption agency in Florida plays in this plot. 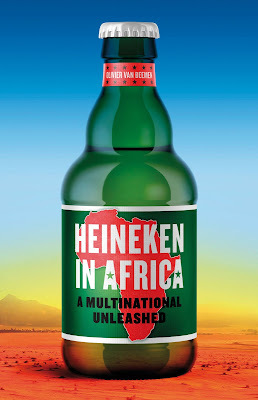 What the book masters time and again through the narrative is to remind us that any cross-cultural exchange, development effort or form of international cooperation is complex, packed with paradoxes and dilemmas and most of the time defies a linear story. In many cases there can be no doubt about the honest, heartfelt desire of American couples and families to adopt a child and giving her a ‘better future’; there can also be no doubt about poverty and violence in Guatemala (currently ranked on place #131 on UNDP's Human Development Index). But then there are also examples of self-righteousness when traditional Christian families with 7 or more children want to adopt another child, because they are following ‘God’s will’ and the adoption process almost becomes a crusade to rescue ‘my child’ that was often chosen on a website and is mostly known through a few photos with cute captions. And as caring, capable and willing as mothers in Guatemala are, the reader is faced with uneasy questions about the future of their children in an environment of poverty, violence and unequal chances particularly for girls and women. In short, Mildred’s story not only becomes a story of a fraudulent adoption system in Guatemala, but about many topics that are regularly discussed in development: Why are ‘good intentions’ not enough? How can we work with a corrupt or at least intransparent governance system? Isn’t doing ‘something’ always better than doing ‘nothing’? Especially when children are involved there is another fine line between legitimate compassion and the dangers of emotional blackmailing. The system of the US adoption agency worked well for a long time because any potential criticism was immediately linked to the welfare of the children: If you asked questions you were threatened that you may lose ‘your child’. If you didn’t pay more money, the agency, often charging around $20,000 per child upfront, couldn’t guarantee the welfare of the child in the foster family . And above all, if something went wrong with the process, it was probably His will that you shouldn’t hold this cute, calm, intelligent girl in your hand. It seemed very natural to become susceptible to a simple and a simplified story when ‘helping children’ is the goal. Finding Fernanda is a rare book that combines public service investigative journalism about a topic that many non-development-experts are interested in (helping/adopting children) with some of the uncomfortable, contradictory and uneasy realities that development processes, large or small, will inevitably face. What I found particularly inspiring as an academic writer was that Erin Siegal never adopts a judgemental approach toward the protagonists of the story. Despite the complexity of the story, she carefully navigates through the potential of stereotypes – there are not simply ‘victims’, ‘white saviours’ or ‘mothers’, but the story about Fernanda’s ‘two mothers’ turns into a journey of learning and reflection many of the actors involved. This ensures an intelligent, enjoyable reading experience. At the same time, Erin Siegal’s book is a great case study in contemporary investigative, transparent and public service-oriented journalism that should make it on the reading lists of development studies courses because of the compassionate approach to present tough and complicated questions about development engagement and the chances and limitations that ‘our’ help and advice have to support transparent processes for a better future for women in Guatemala and beyond. Her book is also a great example of transparent research as much more information and all sources and documents are available on the website, including government documents obtained through Freedom of Information requests and Wikileaks' Cablegate. In the end, although adoptions of children from Guatemala have stopped and many cases are now carefully reviewed, the American adoption agency simply takes its business to Africa: They establish a rapidly growing programme in Ethiopia before they move to the DRC more recently. As long as there is demand for adopting children from developing countries, there is unlikely to be a happy ending for many mothers, families and communities even if Finding Fernanda ends on a positive note of Mildred’s new partner and reunited family and the increased efforts of civil society organisations like Fundación Sobrevivientes to help finding more children like Fernanda and supporting the continuing social healing process in Guatemala. 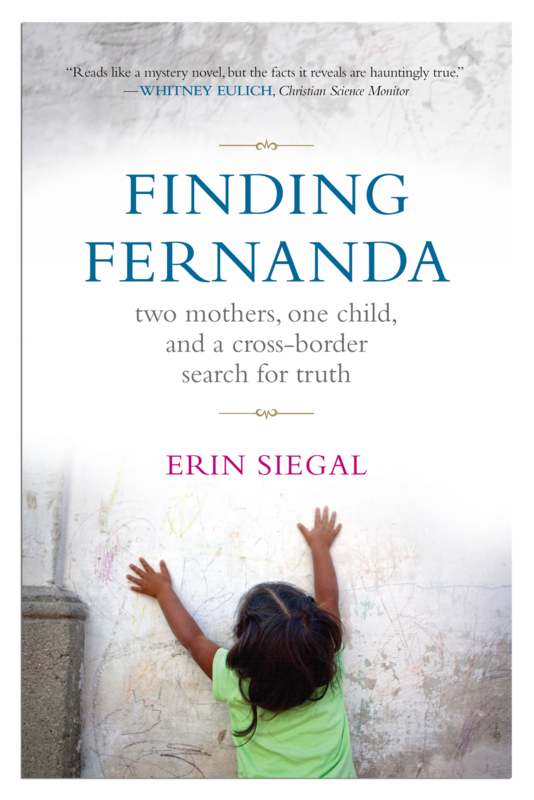 Siegal, Erin: Finding Fernanda. Two mothers, one child and the cross-border search for truth. ISBN: 978-0983884507, 317 pages, U$18.95, Cathexis Press. Full disclosure: I asked for and received a free review copy from Cathexis Press in December 2011.